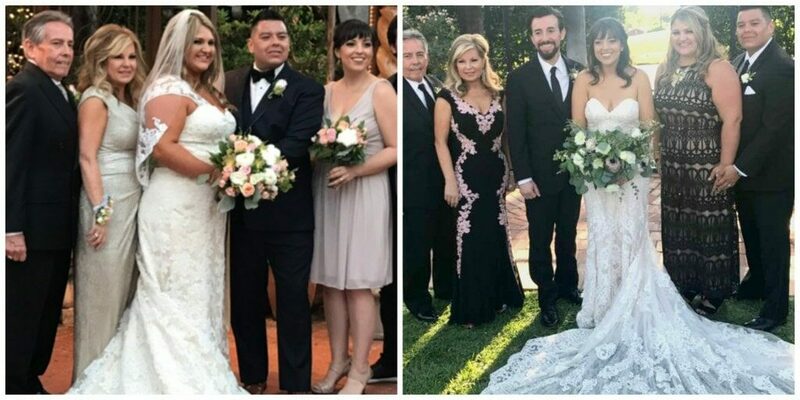 You may remember that both of my children got married this year and now my husband and I are officially empty-nesters. We are still adjusting to this new phase of life. After so many years of parenting and putting the kids first, there are adjustments to make. Just the other day, I started to blame my daughter for the athletic socks that were missing from my drawer, and I laughed out loud as I remembered she does not live here anymore. She no longer pilfers my socks. Our shopping looks different now as well as some of the products we are discovering, just for the two of us. We are trying some new items and still adjusting to not having to “buy in bulk” and cooking for two. One of our favorite products we have started using is the Oral-B Pro Smart Series 6000 rechargeable toothbrush. 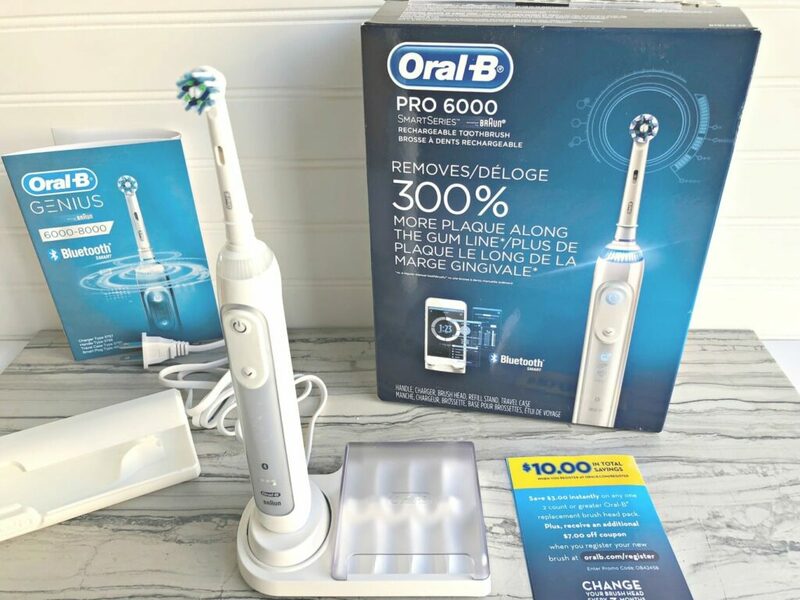 The Oral-B Pro 6000 rechargeable toothbrush removes 300% more plaque along the gum line than a regular manual toothbrush which helps prevent gingivitis. This top of the line toothbrush is clinically proven to provide a superior 3D cleaning action. It works by an oscillating head which rotates and pulsates to break up and remove more plaque than a regular manual toothbrush. 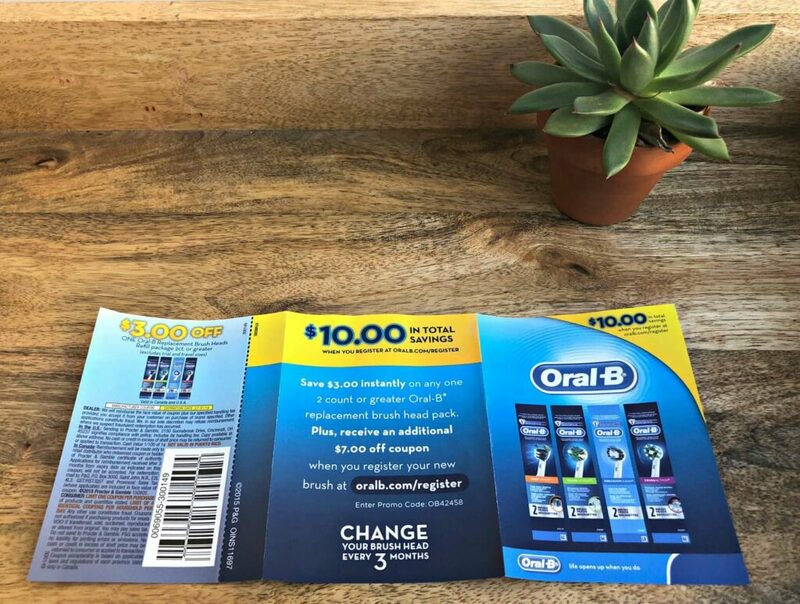 I learned that Oral-B is the #1 dentist-recommended toothbrush brand worldwide and is accepted by the American Dental Association, which makes my dentist happy. The more I use my Oral-B toothbrush, the more I love it! 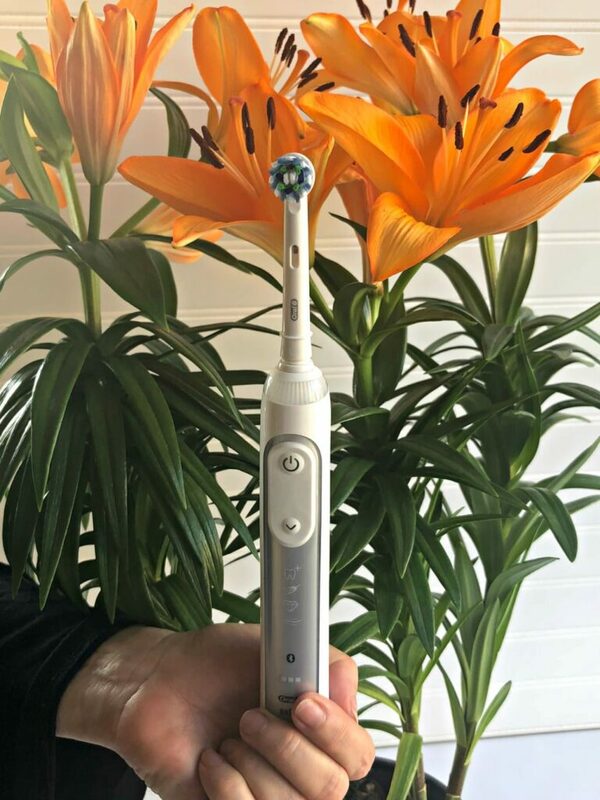 The Oral-B Pro Smart Series 6000 rechargeable electric toothbrush has Bluetooth connectivity which allows the brush to connect with your smartphone to give you real-time feedback on your brushing habits. It has 5 unique modes and a pressure sensor that lights up when you brush too hard. The Oral-B Pro Smart Series 6000 will transform the way you brush. You can even customize the pressure sensor’s color! The Cross Action brush head has bristles angled at 16 degrees, while the 3D cleaning action oscillates, rotates, and pulsates to break up plaque. The brush also has a built-in timer to help you brush for the dentist-recommended 2 minutes. This is one smart toothbrush! It has 5 unique modes and a pressure sensor that lights up when you brush too hard. The Oral-B SmartSeries 6000 will transform the way you brush. You can even customize the pressure sensor’s color! The CrossAction brush head has bristles angled at 16 degrees, while the 3D cleaning action oscillates, rotates, and pulsates to break up plaque. 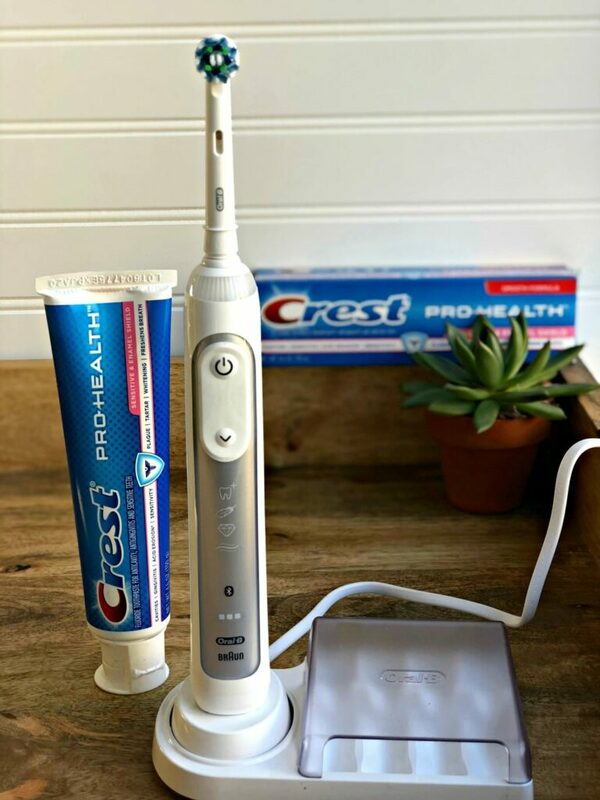 The toothpaste we use is just as an important to us as the toothbrush, so choosing Crest Pro-health was an easy choice. I have tooth sensitivity so I love that it protects against that. Crest Pro-health Sensitive Enamel Plus protects tooth enamel against acid erosion and helps relieve painful tooth sensitivity. When I use this toothpaste on a regular basis I am able to eat things like ice cream much easier which makes me very happy! 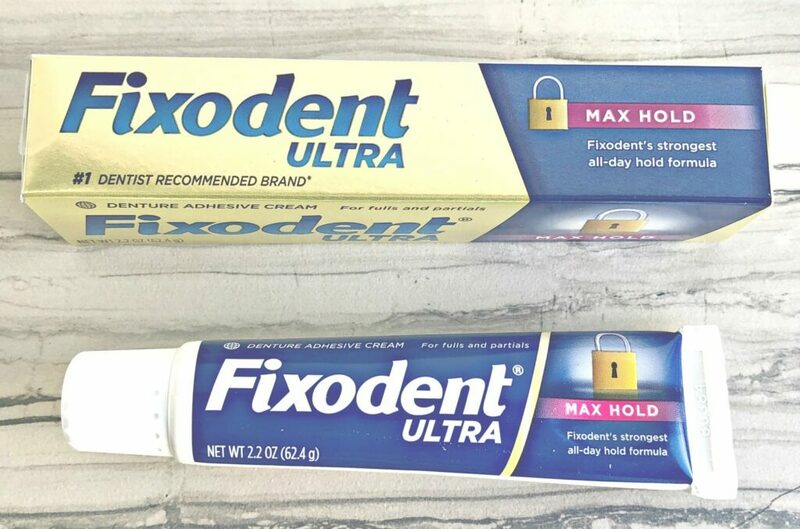 While my husband and I don’t have dentures, my mom does, and Fixodent has been her denture cream of choice. Fixodent ULTRA Max Hold allows her to eat the foods she really enjoys. It keeps her dentures firmly in place and keeps food particles from slipping under the dentures. I love that is the #1 dentist recommended brand among dentists who recommend brands of adhesives. She has used Fixodent for many years but says this new stronger hold is amazing. It provides a customized fit and improved comfort thanks to the cushion it provides between the gums and denture. It can be used by anyone who has full or partial dentures. One of the best things is the Ultra Thin nozzle which allows for an easier application which is so helpful. Taking care of all aspects of our health, including dental care is important to us, especially as we get older. Now you can check out these great P&G products too. P&G Everyday recently launched it’s “Empty Nest, Full Life” page. This page offers exclusive savings, recipes, and tips to all Empty Nesters. Take care of your teeth with great products, get tips on 50+ life, and save money too! That is what we love here at More With Less Today! If you are an empty-nester too, what are some of your favorite products?